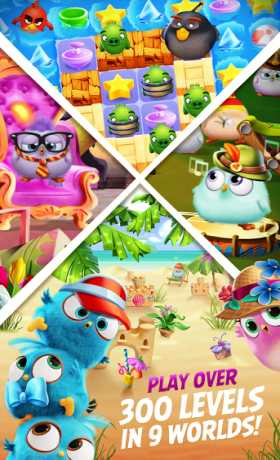 Matching meets the Hatchlings in an adorable new match 3 puzzler. The Hatchlings just want to party, but they got separated by the careless piggies! Make matches to find all the Hatchlings and get this party started! 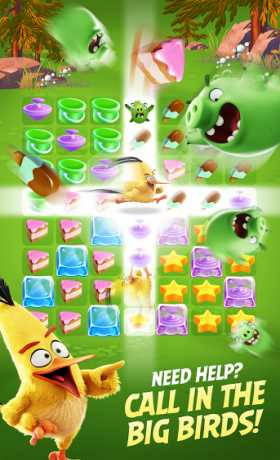 Leave it to the pigs to rain on the birds’ parade, but with help of Angry Birds, Red, Bomb, and Chuck, the Hatchlings just might get the party back on track! However, it’s going to take a lot of matching, a wide variety of outfits, and heaps of help from you too. 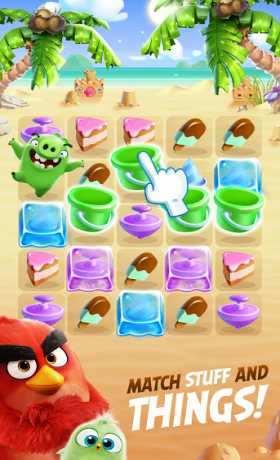 Match items in groups of three or more to pop the piggies and get the Hatchlings all geared up for fun! – Over 350 fun and challenging levels, and more to come!